It almost goes without saying, but steel is strong. Which means steel outdoor structures are strong. The strength and durability of steel is maintained for a long time. Steel won’t rot, warp or twist. Building outdoor structures with steel is cost efficient and in some cases can be cheaper than timber. If you like looking after the environment, steel is also a good choice. Steel is fully recyclable. In fact, if you use structural steel for your new outdoor strucutre chances are it will contain close to 90% of recycled product. 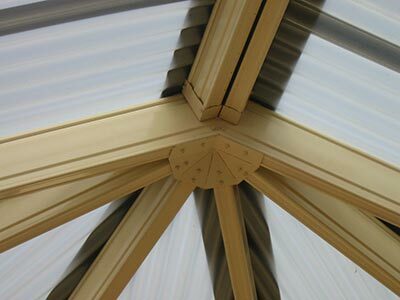 Structure steel, used in steel outdoor structures, is available in a variety of colours to suit your existing home and decor. Because it’s fabricated off-site, structural steel can be erected quicker than other materials. While it’s difficult to beat the look of timber, today’s steel is more aesthetically pleasing than ever before. From afar, it often looks like timber. To find out more about the advantages of steel and whether it right for your new outdoor project, contact Outside Concepts today! Looking for a solution to your outdoor lifestyle? Interested in building a new steel outdoor structure? Call us now for a free quote on 1800 601 674.